The Editable GeoPDF is a High resolution PDF suitable for DTP, viewing on digital devices, Printing, for use within GIS Systems and using with Adobe Reader or Acrobat, utilising special features build into it. This Scottish Central Belt West Sector GeoPDF shows detailed Postcode Sector boundaries (G1 1, G1 2 etc) on a clear, colour background and is perfect for determining Postcode boundaries for sales, planning mailshots or as a regional reference guide. 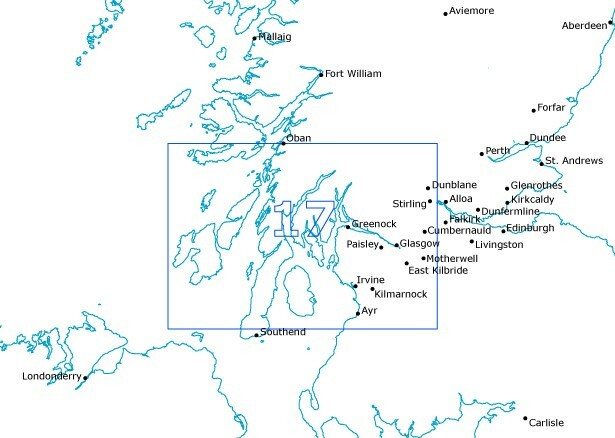 This GeoPDF covers an area from Oban in the North to Ayr in the South and from the West Coast to Stirling in the East.